Don't hold your breathe for these stunning trailer and posters of the second season of Outlander, the hit TV series adaptation of Diana Gabaldon's renowned novel series. This is the most dramatic we have seen so far in this season and your eyes will definitely pop out with the lush costume, new locations, exciting new characters and the shocking twists. Outlander Season 2 stars Caitriona Balfe, Sam Heughan, Tobias Menzies, Graham McTavish, Duncan Lacroix, Grant O'Rourke, Stephen Walters, Gary Lewis, Lotte Verbeek, Bill Paterson, Laura Donnelly, Douglas Henshall, Claire Sermonne, Steven Cree, Richard Rankin, Stanley Weber, Lionel Lingelser, Frances de la Tour, Laurence Dobiesz, Rosie Day, Andrew Gower, Dominique Pinon, Robert Cavanah, and more. Check out the new trailer for Outlander Season 2. And don't miss these stunning poster. 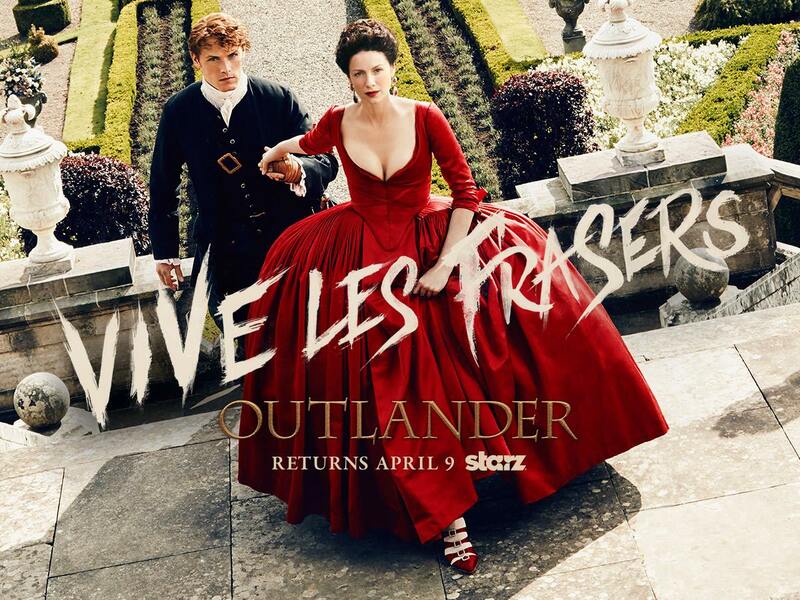 Outlander Season 2 will premiere on April 9, 2016 on Starz. These updates are just so juciy something exploded in me.